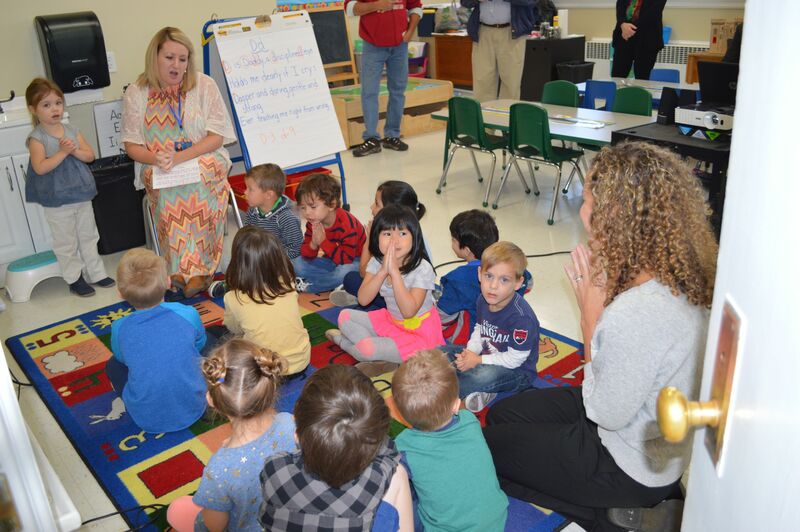 The Junior Kindergarten Program focuses on preparing students for Kindergarten by practicing routines, developing fine motor skills, and encouraging social activities. Each day begins with prayer. Learning often incorporates song, poetry, rhyme, and stories. The “Happily Ever After” program is utilized to teach pre-reading skill through a selection of traditional children’s stories such as, The Three Bears, Little Red Riding Hood, and Peter and the Wolf. Parents may choose to enroll half-day, until noon, or full day with dismissal at 3:00 pm with the rest of the school. Like the other grades in the school, there is one Junior Kindergarten section. Students must turn 4 years old by September 30 of the year enrolled in order to be eligible for Junior Kindergarten.